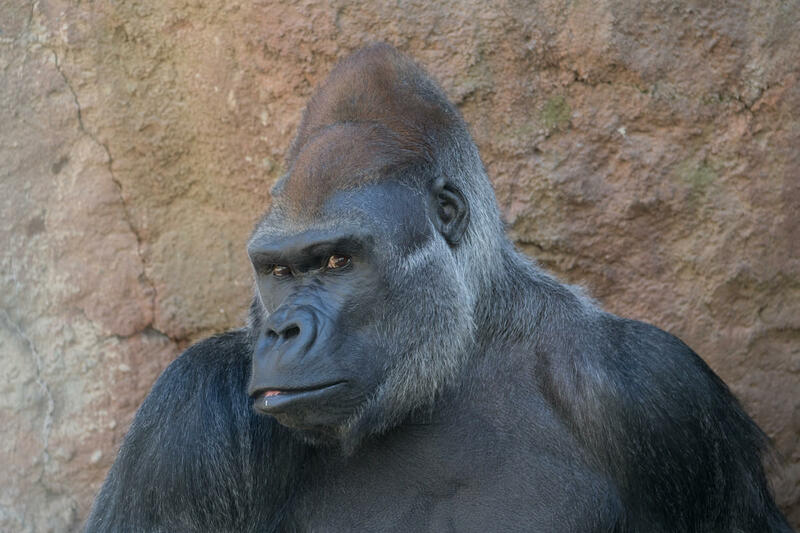 On the season finale of THE ZOO you met Ernie, one of our silverback gorillas. 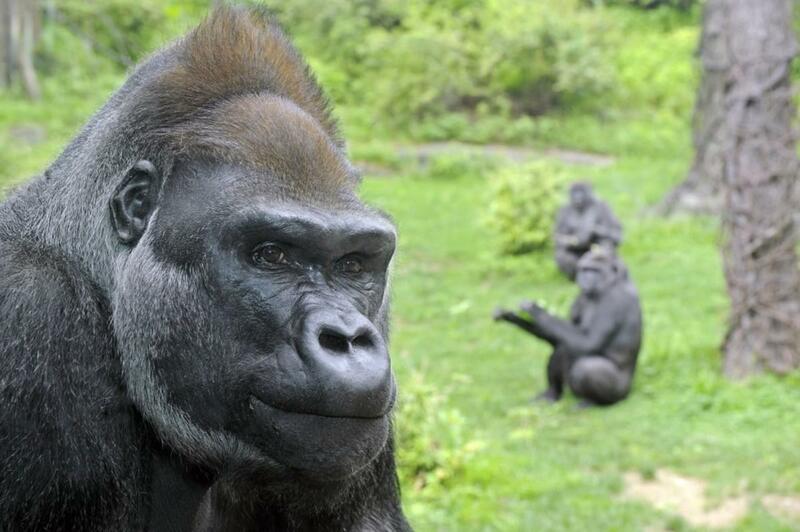 If you've ever been to the Bronx Zoo, chances are you've spotted him among his troop at Congo Gorilla Forest. Ernie is a great troop leader and attentive father. 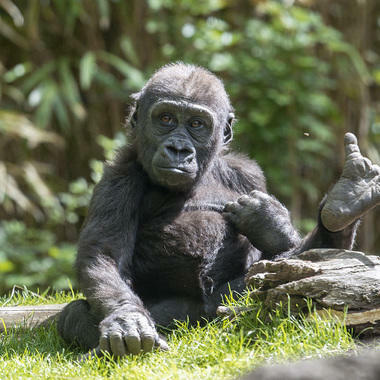 He has sired five offspring at “Congo” that are all three- to four-years-old. Make sure to plan a visit to see them all this spring. Six years ago, Ernie was diagnosed with mild heart disease, which is not uncommon in male gorillas. In this episode, you learned that the disease had progressed, but thanks to the efforts of our keepers and veterinarians his condition is under control and he continues to fulfill his important role in his troop. 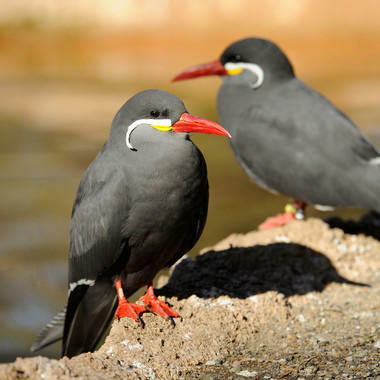 On this week's episode of THE ZOO you met our Inca terns. 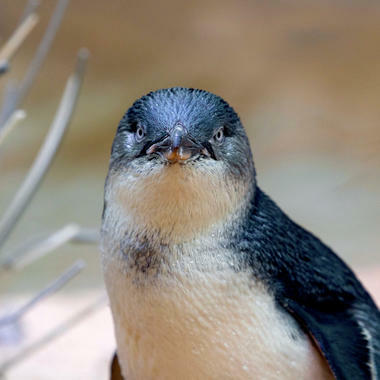 These beautiful, mustachioed birds breed along the coasts of Peru and Chile and can be found in the Russell B. Aitken Sea Bird Aviary, where they are exhibited with Magellanic penguins and Humboldt brown pelicans. 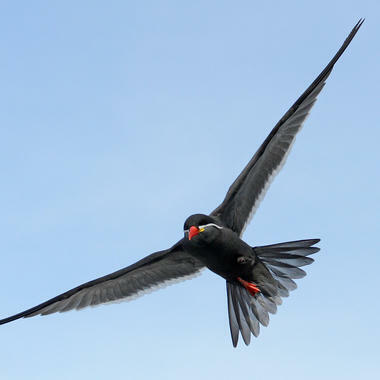 The Bronx Zoo has developed innovative veterinary and husbandry protocols to protect Inca terns from mosquito-borne diseases, which may have applications for many other species. 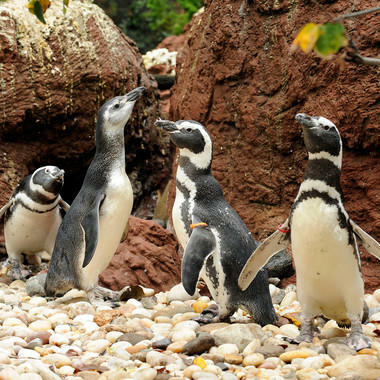 The Sea Bird Aviary is one of our hidden gems. Standing in the midst of our large flock of birds is an incredible experience and a great way to appreciate these animals. Whether you prefer penguins, pelicans or the terns, you'll observe something new each time you visit. Below are a few of our favorite photos from the exhibit. Stop by on your next trip to the zoo and tag us on social media in the photos you take with @BronxZoo and #InsideTheZoo. 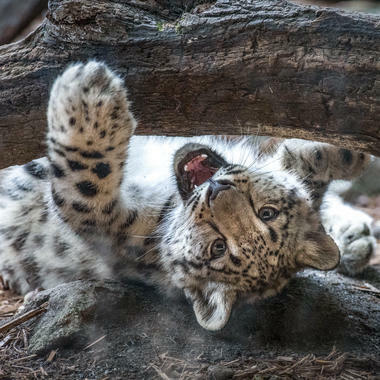 This week on THE ZOO you met Khyber, a snow leopard cub born here at the zoo. While Kyber was still a young cub, our keepers noticed something was not quite right with her hind legs. They were splayed out to the side and she wasn't crawling properly. Our curators and veterinarians made the difficult decision to separate the cub from her mother each day for hours of physical therapy. Thanks to those efforts she made a great recovery and now has full use of her legs! 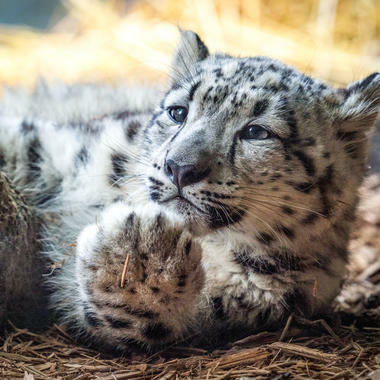 She's on exhibit with her mother, and you can visit the pair at the Himalayan Highlands exhibit. We're thrilled with this outcome, not only because Kyber is an excellent ambassador for her species but because she is a granddaughter of Leo (an orphan from Pakistan that was rescued in 2006) making her lineage very important. We recommend a trip to see Khyber in person. Until then enjoy some photos and a video of her journey. Three of the species featured in this week’s episode (the African wild dog, white-cheeked gibbon and California sea lion) are Association of Zoos and Aquariums’ (AZA) Species Survival Plan (SSP) species. SSPs are programs that manage species for gene diversity and demographic (population) stability, which are requisites to have healthy populations in our zoos. There are about 500 SSP programs administered by the AZA, and nearly all are for species that are classified as threatened or endangered. The Bronx Zoo actively participates in almost half of these programs! The goal of SSPs is to have viable, sustainable populations in our zoos through careful, planned breeding. In order to accomplish this, sophisticated computer analyses determine which animals make the best pairs, and zoos participating in these programs send individual animals to other zoos on a regular basis to assure an adequate exchange of genes across our populations. We've successfully bred a large number of SSP species throughout WCS's five zoos and aquariums. Below are a few photos, enjoy! 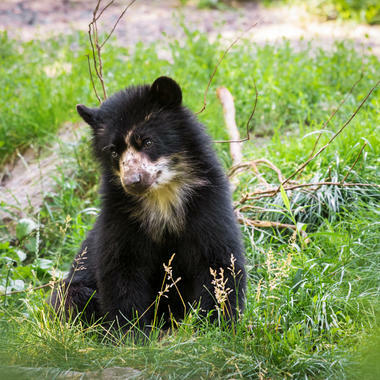 Fewer than 18,000 Andean bears exist in the wild, making the bird of this cub at the Queens Zoo extra special. 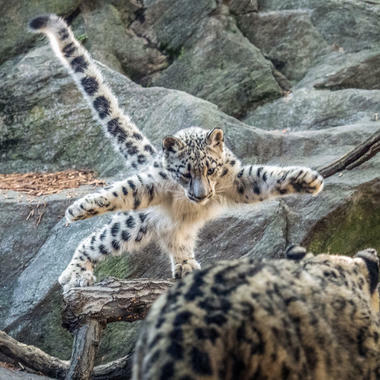 Our most recent snow leopard cub, born last year, marked another win for snow leopard conservation. We welcomed gorilla babies in 2014 and 2015, part of our successful history of breeding gorillas. The Bronx Zoo has quite a history with the elusive Eastern hellbender, as you saw on this week's episode of THE ZOO. They’re in trouble in nature due to habitat loss and degradation, water pollution, and more. In 2010 the zoo joined the New York Hellbender Working Group under the umbrella of the Upper Susquehanna Conservation Alliance to help them make a comeback. Our Herpetology Department assists the working group by headstarting hellbenders. Headstarting is a conservation strategy involving the rearing of hellbenders in zoos from hatching until they are large enough to be free from most aquatic predators. Once they pass that critical period they are returned to their native rivers and streams. Last year our herpetology staff headstarted 103 hellbenders, and looks forward to receiving another group of eggs this breeding season. To learn more about hellbenders, visit their exhibit at the World of Reptiles. Hellbenders have many nicknames, can you spot the imposter in the quiz below? 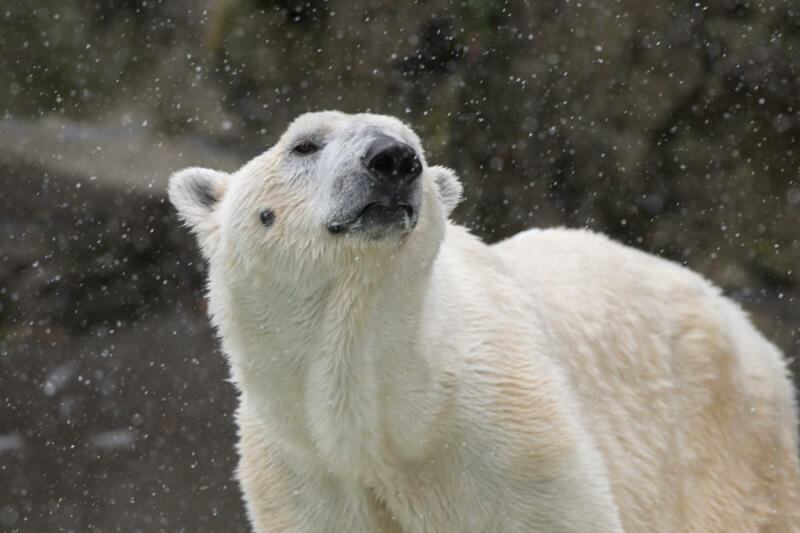 Tundra, the Bronx Zoo’s 26 -year-old polar bear, was euthanized several months after the filming of his segment was completed due to medical conditions associated with old age. A necropsy showed that he had chronic kidney disease that caused acute kidney failure, and progressive arthritis that worsened despite treatment. 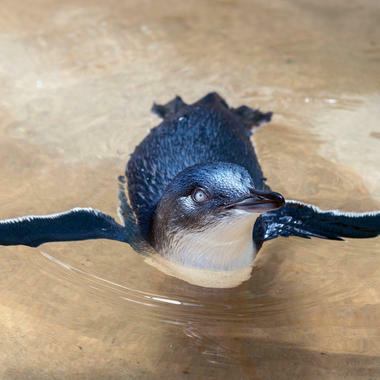 "The little penguins have been doing very well since their diagnosis and treatment for mycobacteriosis a year ago," says our veterinary team. 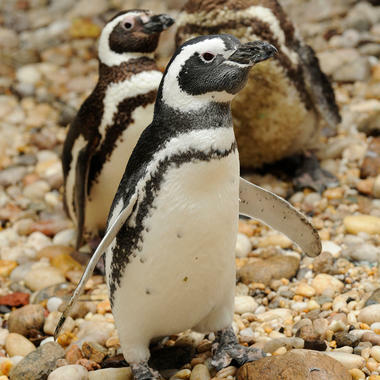 "We are planning to do another round of CT scans soon, and we hope these will show that the penguins are free of disease. Overall, they continue to act like normal, healthy little penguins." 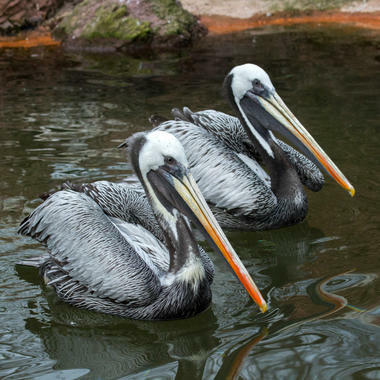 For their work on this project, our team was recently given the Association of Zoos and Aquarium (AZA) Avian Scientific Advisory Group's Plume Award, which recognizes leaders in the field that are committed to furthering avian conservation. 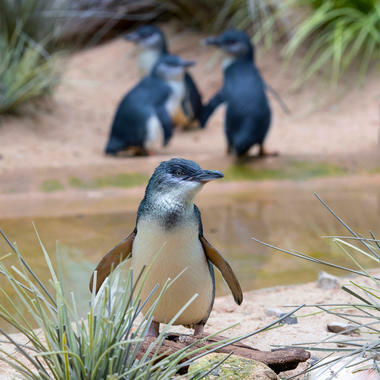 Be sure to check out the little penguins in the Aquatic Bird House next time you visit! 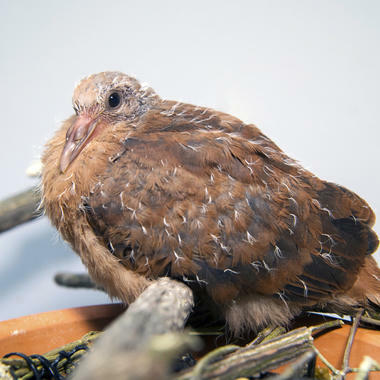 This week on THE ZOO, you watched as our ornithology keepers attempted to breed pink pigeons. It's important work as this species once faced extinction due to habitat loss. Luckily they were brought back from the brink thanks to concerted conservation efforts. Learn more about the history of the pink pigeon from Maddeline Thompson, WCS Archivist, on our WildView photo blog. 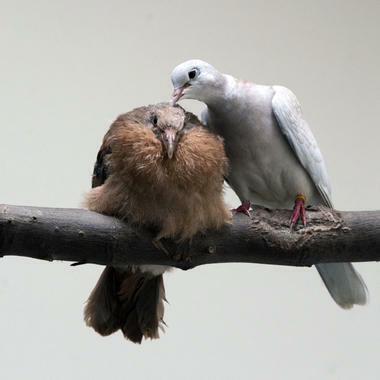 Since the show aired the male pigeon, Stud, has successfully bred with another female. But there's a twist! 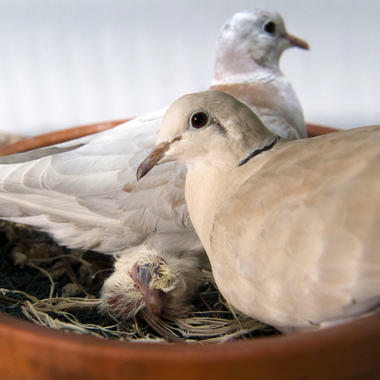 The chick is being raised by a pair of ring-necked doves. 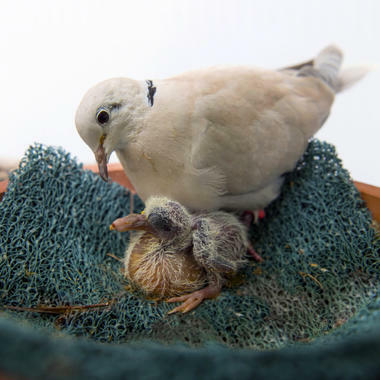 The pink pigeon is gaining size rapidly and has quickly out-grown the surrogate parents. We've photographed the process, check out a few pics below. Tuberculosis (TB) was diagnosed in Patty, an Asian elephant at the Bronx Zoo, in 2017 through routine health monitoring. TB is a common disease around the world that most frequently affects people in urban areas like New York City and other major cities, and is an infrequent but known disease in elephants. Patty’s story was told on the Animal Planet docu-series, THE ZOO, in an episode entitled “An Elephant’s Trust” which premiered March 31, 2018. This episode highlights the expert care given to Patty and the trust and bond between her and her keepers as she receives treatment. The good news is that Patty, who is about 47 years old, is showing no symptoms of the disease and is accepting treatment well. Months after her diagnosis she is her normal, robust self. TB is curable and we are hopeful Patty’s treatment will be successful. All of the subsequent weekly tests we have done with Patty have showed no presence of the TB bacterium. Our two other elephants, Happy and Maxine, are tested every three months and have not tested positive for TB. After Patty’s TB was detected, all staff who had close contact with the zoo’s elephants were tested and no one tested positive, including those who have spent the most time with our elephants. TB is transmitted by close contact over a long time with an infected person or animal so there is no risk to the visiting public as the elephants can only be viewed from a distance while riding on the monorail. There is no opportunity for direct contact between zoo guests and the elephants. Also, the TB organism cannot survive for long in the open environment and sunlight. At this time, it is not known how Patty acquired TB. Elephants exposed at a young age can wall off the TB bacterium in their body for decades before becoming ill or testing positive. It’s possible that Patty, who was born in India, contracted the disease there before coming to the Bronx Zoo. On this week’s THE ZOO, you met four rambunctious rescue bears that now call the Bronx Zoo home. 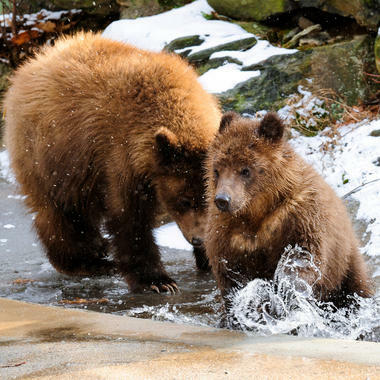 In 2009, these bears (a grizzly bear and three Alaskan brown bears) were rescued as cubs from Montana and Alaska, respectively. 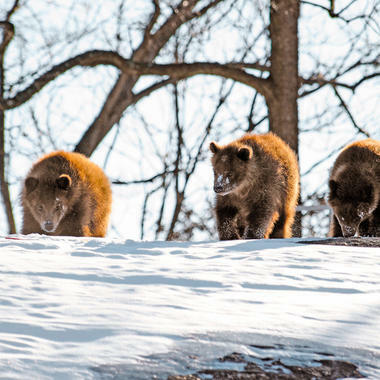 While they came to the Bronx from different places, all four bears share a common story: their mothers were problem bears and were killed as a result of wandering too close to humans. The Alaskan brown bears are siblings named Koots, Denali, and Sitka. Without their mother to protect them and teach them survival skills, these cubs could not have survived in the wild. 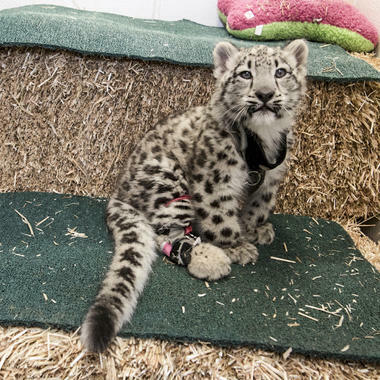 So, they were taken to a rescue center in Alaska before being relocated to the Bronx Zoo. 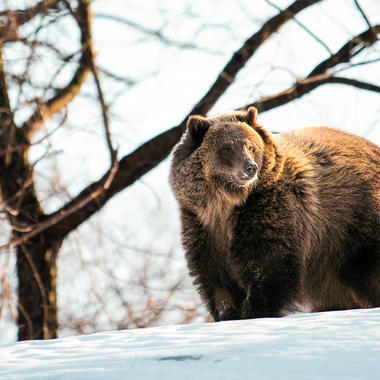 Earlier that e same year, the grizzly bear, named Glacier, came to the zoo from Montana after he was also orphaned. He, too, was too young to survive on his own. If people are going to live and recreate so close to wild animals, we must learn to better coexist with them. We pulled a few of our favorite photos of the group from the archive. Take a look. Kootz, Denali, and Sitka, three brown bears from Alaska. Glacier, the grizzly bear, as an adult. Glacier and a brown bear enjoying the snow. This week you met June Bug and Sneedy, our female and male juvenile African-crested porcupines. 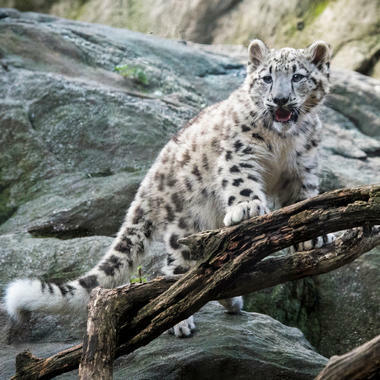 We thoroughly enjoyed watching their storyline play out so we checked in with Kathleen LaMattina, Collections Manager of Special Animal Exhibits at the Bronx Zoo, to get a little more information. Take a look at our Q&A below! How old are June Bug and Sneedy now? At this age in the wild brother and sister would no longer be living together. These guys are sexually mature now so they were separated to keep them from breeding. What are the plans for the duo in the future? They are going to be awesome animal ambassadors for their species! Animal ambassadors give visitors the chance for up close interactions with animals, which creates an appreciation and concern for animals in the wild. It’s an important role in our work to conserve species around the world. What is the most common feedback you get from visitors who meet them? People never think porcupines could be so charismatic. They are very sensitive and intelligent creatures. If you could let people know one thing about porcupines they may not know already, what would it be? They don't shoot their quills! When threatened, porcupine quills are raised. Some porcupines will run backwards towards the perceived threat. The quills, which are actually modified hairs, detach easily when contact is made. This week on the show, you met the Indian gharials that moved into JungleWorld last year. These slender-snouted crocodilians are Critically Endangered. In the video below, Don Boyer, Curator of Herpetology, explains the role the Bronx Zoo and WCS play in gharial conservation.